I like to have as many veggies as possible in my diet. This vegetable salad is simple, easy to prepare, healthy and nutritious. It can be made with just a few basic vegetables and rich in nutrition too. 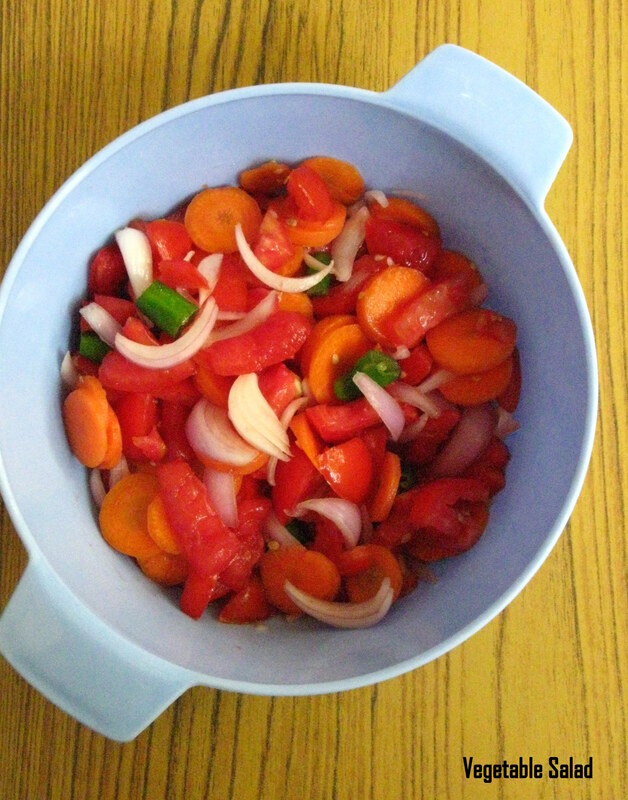 Place the vegetables in a bowl, sprinkle some salt and toss it well. Pour a tablespoon of lime juice over it and serve. Eat it as such as an appetizer, as a healthy salad snack or have it with rice or roti. Thank you Joanna. I will add the widget and join your search engine.